The PM was in his home state Gujarat on a two-day visit where he lambasted the UPA government for not avenging 26/11 Mumbai terror attacks and the 2008 serial blasts. “Do you remember the day when demons struck Civil Hospital? Had the then government be stronger, they could have taken revenge. Why did they not avenge 26/11 Mumbai attacks? You tell me, should we not fight terrorism, should we not uproot it completely.” Modi spoke in Jamnagar earlier, urging opposition parties to use common sense. He criticised them for questioning his statement that the presence of Rafale fighter jets would have given greater firepower to the IAF during the February 27 aerial engagement with Pakistan. He said, “Those who accused me of questioning the air force strikes when I made this statement must use their common sense. I had said if we had acquired Rafale jets in time, none of our fighter jets would have gone down and not a single of theirs would have been saved.” He lashed out at his political critics, saying they have made such statements which make headlines in Pakistani newspapers and are lauded in Pakistan Parliament. “Is this the way you are serving the national interest? You may question me on my policies. You may not trust me but at least trust the armed forces. Don't raise questions over their valour,” Modi said. 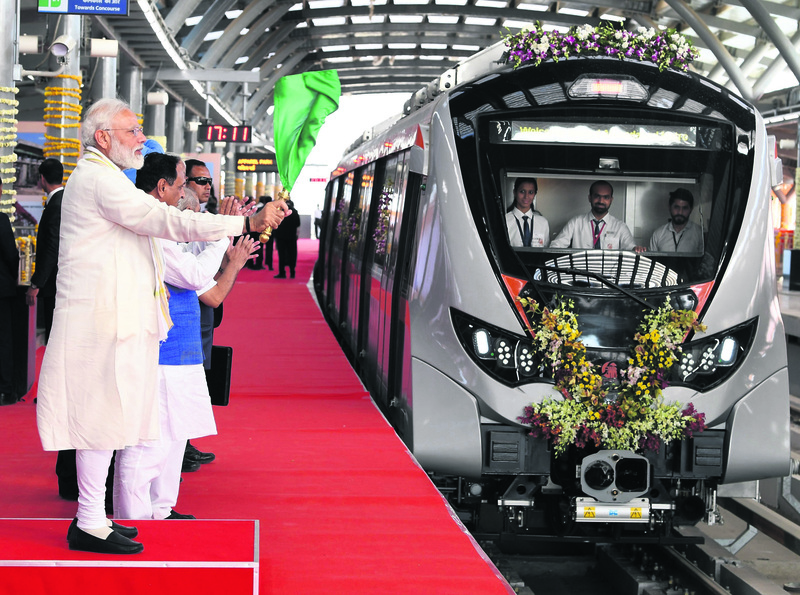 During his visit to Jamnagar, he inaugurated a brand new 700-bed Guru Gobind Singh Hospital, laid the foundation stone for new desalination plant, phase-3 of SAUNI scheme and flagged off the new Jamnagar-Bandra Humsafar Express. PM Modi exuded confidence as he stated, "I'm there after 2019 too, so don't worry." Addressing Patidars at Vishva Umiya Dham venue, he said, "If you have any work with the Union government, consider the Delhi home as yours.” At inaugural function of `Medicity', Modi said it was his nature to inaugurate projects of which he had laid the foundation. "Let me tell you I have laid foundation of National Maritime Heritage Complex (at Lothal, who will inaugurate it?" quizzed Modi getting a rousing applause from public who chanted `Modi' as answer. Prime Minister Narendra Modi visited Dholeswar Mahadev temple in Gandhinagar on the occasion of Mahashivratri. Modi was an occasional visitor to this temple when he was the chief minister of Gujarat. Modi also visited his mother Hiraba and spent around 15 minutes with her at younger brother Pankaj Modi's residence at Raysan area of Gandhinagar.